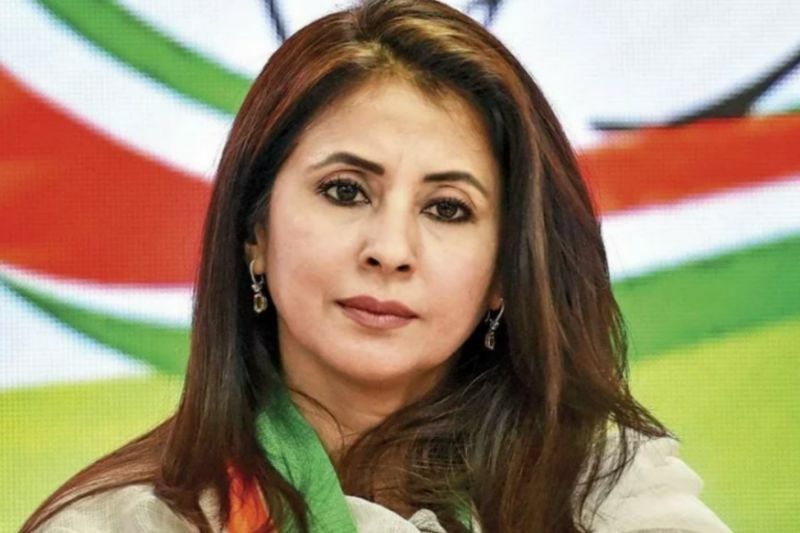 Mumbai, Apr 12: Urmila Matondkar, the star of 90s hit Hindi films like "Rangeela", "Daud" and "Judaai", is contesting the Lok Sabha election but says she isn't approaching politics as a star and would rather be known as people's representative. "I am not approaching this whole thing as a star with my star image. I am trying to get to grassroot and connect to people. I know it is going to be difficult. "I want to generate confidence in them about me as their representative more than just another star coming in, waving and asking for votes. Because that is not the thought with which I have gotten into it," Urmila told PTI in an interview. Considering she is a known face, ask her if Bollywood celebrities can be vote pullers, pat comes the reply, "I can't talk about others, it is not fair. Media generally likes to generalise things as it makes their life easy." She will be contesting the election from Mumbai North constituency, a seat held by Govinda. Urmila, who has been campaigning and meeting the locals, says some of the major issues of the area are housing, water scarcity, sanitation. "The most important issue is housing and it is too deep rooted for anyone to get a solution quickly. The slum redevelopment needs to be looked into. Water is another big issue, it is also a deep rooted so overnight solution is not possible. Women's health, local trains. But we need do to things. "This area is issue-ridden probably the most in Mumbai. People have been telling me about need for public toilets, water in Gorai area is another problem. Also (need for more) local trains as the population is more here and there is no infrastructure." She is fighting against BJP's Gopal Shetty, a seasoned politician who has called Urmila naive and zero in politics. But the actor isn't affected. "That shows his mentality in the whole thing. He started of saying that this is going to be a battle of vichardhara (ideology) but non-stop he is speaking derogatory things about me, which I have never done. "I think there can be two things behind it - someone who is not very confident and all these things stem out of deep rooted fear that must have come in." The actor said the kind of politics him and his party indulge in focuses more on "emotional battles", keeping people occupied with "all kinds of emotional, religious and socio-economic issues." "So that they do not come to main issues like what is progress? And where is the progress? "If that is the politics he is referring to, I am happy to be political zero. For me politics is giving your word, standing by it and abiding by it no matter what." The 45-year-old actor, who was last seen in a special appearance in Irrfan Khan's "Blackmail", felt it was time for her to do something for the society. "I was against contesting the elections. I was interested in joining another party and wanted to campaign for whoever they wanted me to. They were interested that I contest the election and when you join a party you go with the decision the party makes and stand by it and give it your best." According to Urmila, the 2019 Lok Sabha Polls is going to be a "very deciding election for the country". Since her childhood, the actor says she was socially responsible and has been working towards issues related to women, children's education, AIDS awareness among others. Talking about Rahul Gandhi as a Prime Ministerial candidate, Urmila believes he will be a "phenomenal" Prime Minister. 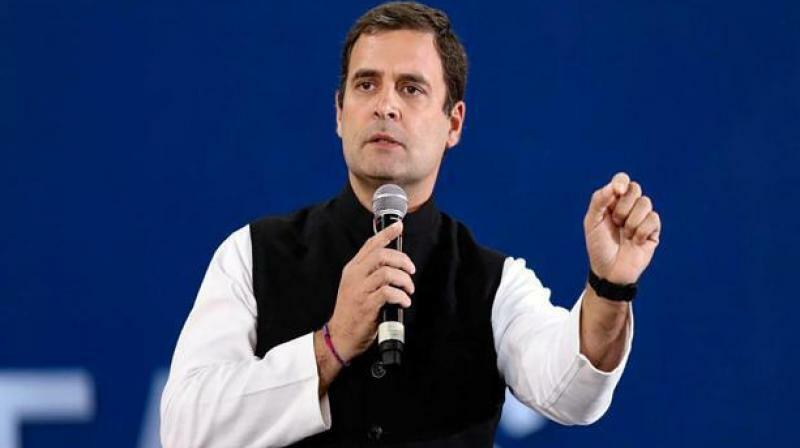 "He is a person, who is constantly trolled and degraded for the last five years but has worked non-stop without stooping to any such levels that the opposition constantly has like trolling and criticising on wrong issues. "He has gone to grassroot level tried to understand the problem of people. The outcome of all that is the Congress manifesto, which is remarkable achievement." She further says Gandhi has utilised the time to build the party and take the nation somewhere up without being in power. "If he comes in power he will be capable of delivering it well," she adds. There have been celebrities who are dabbling into both, politics and acting, but Urmila intends to focus only on her political career at the moment. "As of now I don't see any film thing happening. This is something so huge and challenging. It has been extremely challenging because I was prepared coming from a line of film industry to be criticised and not given your due or to be looked down up but to be ridiculed and trolled completely that all is a lot and that is a separate thing. "It is a huge challenging career so I think it is already taking lot of time. I don't see film bit happening." Ask her about the issues faced by the industry and Urmila says, their issues are "same as that of normal people." "The fact that our freedom of speech or freedom of any sort has come under tremendous danger. Here is the issue that everybody is facing be it media or film industry or common man.